Yet the young leader has made significant breaks with his forbearers, fast-tracking the country’s nuclear weapons programand consolidating his own power by eliminating rivals. His international profile only grew this year following a historic summit with President Donald Trump in Singapore in June — an unprecedented achievement for a North Korean leader. The unveiling of an official portrait would follow previous moves to codify the younger Kim’s place in North Korea’s leadership pantheon. Last year, the country announced that a new monumentfeaturing Kim Jong Un alongside his father and grandfather would be built at its revered Mount Paektu. 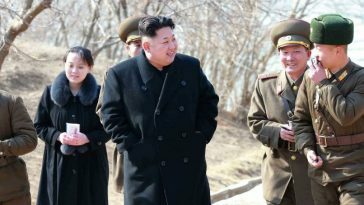 North Korea’s Leader Kim Jong Un Boosts His Family’s Power By Promoting His Younger Sister, Kim Yo Jong. 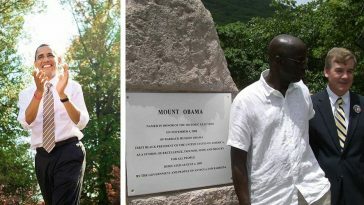 Kenya, Tanzania, Spain, Ireland, Guinea..: Barack Obama’s Name Has been Immortalized in these Places Outside the U.S.